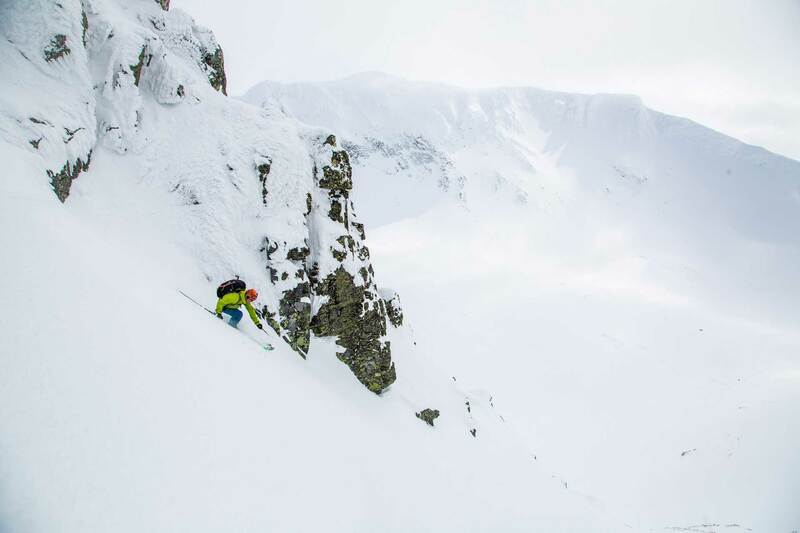 In the middle of the wilderness, far out into the nature, lies one of Jämtland Härjedalens most attractive, exotic, wild and exciting wilderness areas, the Sylarna mountain range – an impressive place for ski touring in Sweden. Rising way above its neighbouring peaks, like the guard tower of a majestic castle, the peak Storsylen (“Big Sylen”), standing at 1762 metres above sea level, imposes itself over the landscape. Names of its lesser peaked brethren, Slottet (“The Castle”), Tempeldalen (“The Valley of Temples”), Djävulskammen (“Devils Comb) add to the mythical like drama of the area, which is compounded by the deep snow filled valleys acting like corridors between the silent mountain slopes guarding over scenery. If all the elements fall into place, including the weather gods showing their kindness, a day out ski touring in Sylarna is as close to skiing heaven as it possibly comes. The scenery that greets me out the window of the Sylarna Mountain Station is something out of a dream world. Yesterday it was a real snow day, but today that has been replaced with blue skies and sunshine. The newly fallen snow has covered everything with a fresh layer of powder and the light reflection is so bright that one is forced to squint and shield ones eyes for as to let them adjust. I return my attention to more important matters and formulate a plan for the day’s ski touring adventure while preparing my packed lunch, I throw in extra snacks, it might be a long day out. A few minutes later my partner and I find ourselves standing outside, touring ski’s on and facing the unknown ahead of us. 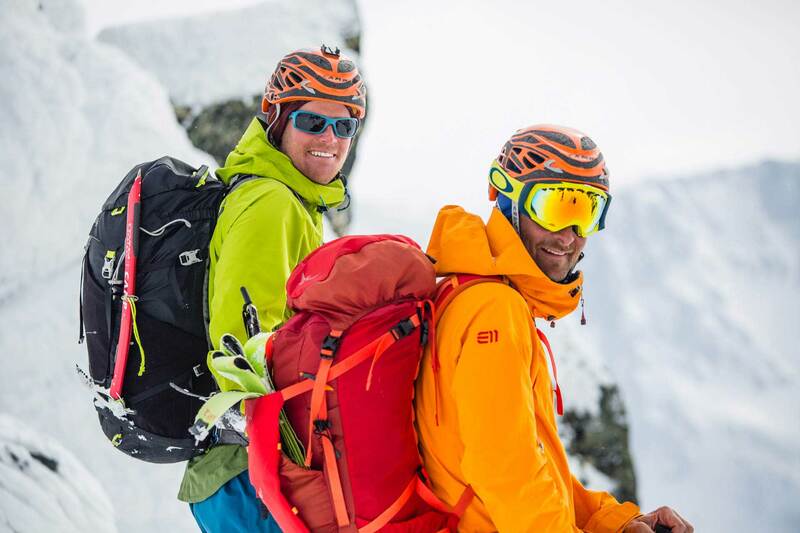 I run a mental checklist of my safety equipment and double check the avalanche prep kit. Safety First, always. The ski touring route today can be either the classic or popular “Martins route”, of the Storsylen Glacier. We had decided on the latter and head off, skis silently gliding forward in the fresh powder, cutting distinct tracks in the crystals of ice and snow, glistening like thousands of diamonds around us. The climbing starts getting steeper the closer we head to the watershed, forcing us to zig-zag until it gets too steep, where we clip off the ski’s and carry them the last bit up on our backpacks. We reach the Doorway (Porten), the characteristic saddle like opening in the mountainside and peer silently into the Valley of Temples (Tempeldalen) before us, just taking in the splendour of it all. Directly opposite us, like a majestic throne, lies the indomitable peak of Sylen (Storsylen), reaching 1728 meters above sea level. Peering over the northern slope of the mighty mountains gets our pulses racing. It’s a sea of fresh, untouched, unmarked powder snow. We can’t help ourselves and surge forward on our skis, carving precise curves on the slope and zooming into a tight corridor before opening to the expanse guarded by Devils Shame, an unusual three peaked massif that catches the eye. Once our heart rates have dropped to a more normal pace we turn and face the sun, lifting our eyes to the heavens and opening our arms to take in as much vitamin D as possible. We say a small prayer of thanks, sometimes we just get lucky and everything that makes an unforgettable day of ski touring falls into place. Sunshine, no wind, new powder snow, comfortable temperature. It’s just our bodies that need a break as we grab a quick snack before heading off again, the day has after all, just begun. Sylarna and its surrounds has long been an attractive and popular place for visitors, from hikers to skiers. The first recorded tourists came in 1890 and five years later the Swedish Tourist Association built their first cabin. This was all the area needed to kick start tourism in the area. Surrounded by such regal peaks and surroundings, the goal for most visitors, regardless the season, is to climb the Storsylen peak, which was first documented by a Norwegian climber in 1885. The peak lies on the border between Sweden and Norway and the highest peak itself lies a few meters across the border. There are numerous ski touring routes and peaks in Sylarna but knowledge and experience is key to successfully and safely complete a tour. First time tourers and those who are uncertain are strongly recommended to hire an experienced guide who will lead the way to the best ski route on any given day and conditions. 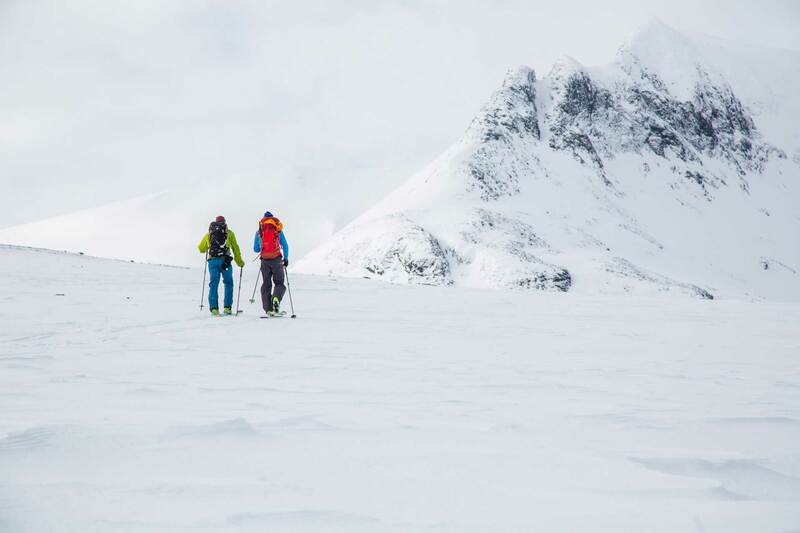 So what is the deal with ski touring in Sweden and why does it hold such an appeal? 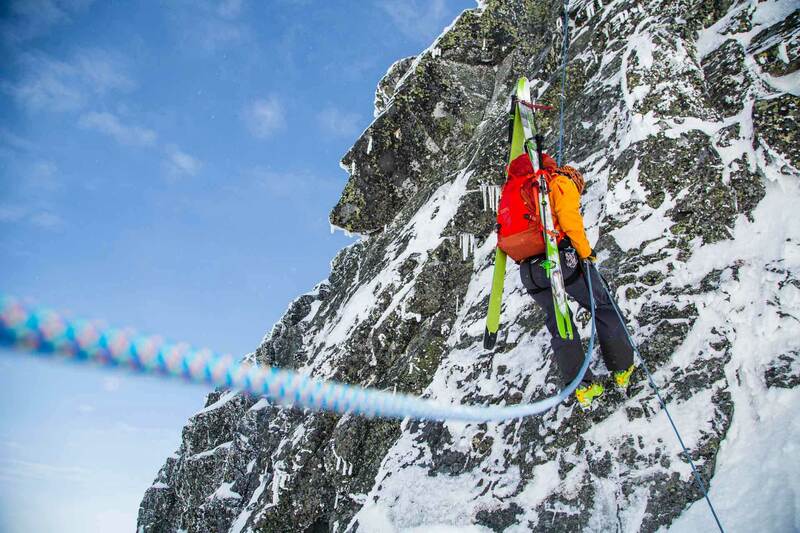 Simply put, it’s the freedom that’s attached to being able to ski where you want to. But safety is absolutely critical and key to a successful ride. There are always risks and you alone are responsible for your actions. Avalanche know how and the right equipment are the foundational requirement, as is respect for the environment and conditions. Check lavinprognoser.se for daily avalanche prognosis. The Sylarna Mountain Station is open from mid-February to the end of April. Off season by tent. Easy-hard depending on previous experience. Ski touring in the Sylarna Mountain Range is an adventure suitable for those with previous experience in ski touring. Parking is available at Storulvån Mountain Station in western Jämtland. From this point the ”weasel”, a mechanised snow vehicle (Snow Cat), travels once a day up to Sylarna. Booking ahead of time is necessary. Alternatively, it is possible to ski the marked 16km between Storulvån and Sylarna using your touring skis or with alternative skis putting your touring skis in a sledge. STF (Svenska Turistföreningen) offers guided weeks and weekends for those wishing to increase their knowledge and ability in the mountains. Touring skis and boots, helmet and safety equipment (avalanche pack, GPS, spade, map) Touring axe necessary depending on route. STF Storulvån Mountain Station, Åre Skidsport in Åre and Åre Skidcenter in Björnen, offers equipment rentals. Pre-booking required.